While viewing this production, it was not hard to realize that over 100 children have been practicing their lines, spots, and dance routines for two months. That was not time wasted and all of their hard work paid off during the three-day production. With direction from KC McCloskey, the musical had a “once upon a time” opening, in which the prince, played by Nick Carver, refused shelter to an ugly crone. The crone casted a spell on the prince, turning him into a beast and his staff into half-animate objects. In order to break the spell, the beast must love someone who loves him back, before the last petal of the rose left by the enchantress falls. Meanwhile Belle, played by first time “footie” Sam Rose, is the loveliest woman in a little French Village, where she loses herself in literature as the townsfolk smirk. She and her father, played by Will Hollenbeck, are what people would call the “outsiders” of the small town. As time passes by, Belle’s father gets lost in the woods where the Beast imprisons him. When Belle finds him, she offers herself as a trade, which gives the Beast and his assembly of servants a rare glimmer of hope that they may become humans again. Two big productions really grasp the attention of the audience. “Gaston” is an enthusiastic dance number with clinking beer mugs and revealing lyrics: “No one says “no” to Gaston” is sung cheerfully, concealing a savage undertone. During “Be Our Guest,” the audience was presented with singing and dancing from over 70 children dressed as dancing plates, candlesticks, and silverware in the magic castle. Along with Belle and the Beast, the candelabra Lumiere played by Shane Work, Cogswork played by Connor Maclay, Chip played by Zach Yeager, and Mrs. Potts played by Brianna Mitchell were hyperactive crowd pleasers. Brianna actually showed the audience her vocal range during her performance of “Beauty and the Beast” which brought some adults to tears. By the end of the evening, there were cheers and standing ovations from the audience. 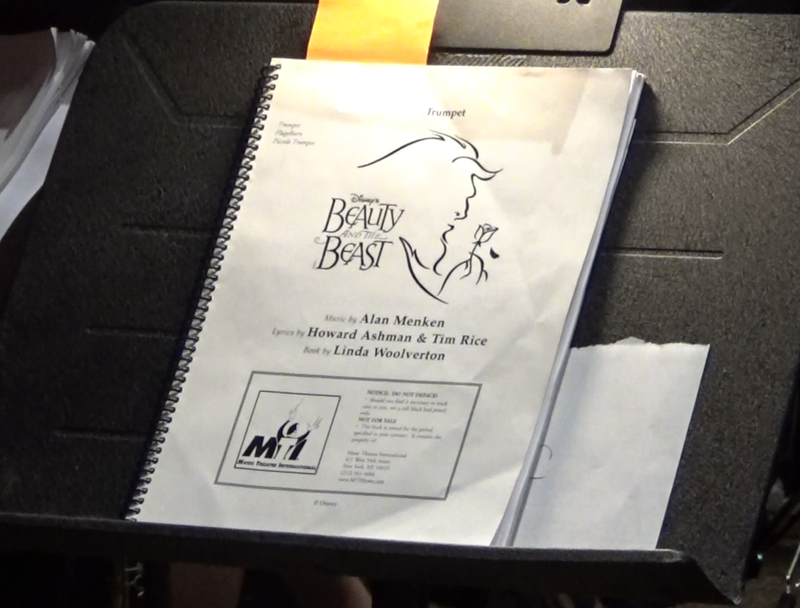 There was also an acknowledgement of the message within the production of “Beauty and the Beast.” The message is that love can be found anywhere and it does not matter who you are or where you come from. The production has now come to the end, yet the Footlights Theatre Program will be back in June of 2017. For 42 years, this program’s objective is not only to teach the arts, but also to teach students the value of live entertainment and how to come together for a common goal. They also want to teach the students about the value of hard work, discipline, and the joy of giving back to the city of Erie. The Footlights Theatre program gives the students an opportunity to have fun during the summer and no child will be turned away from a role. It is not only educational, but all children are welcome to become cast member, meet new people, and to make history in the Erie Footlights tradition.